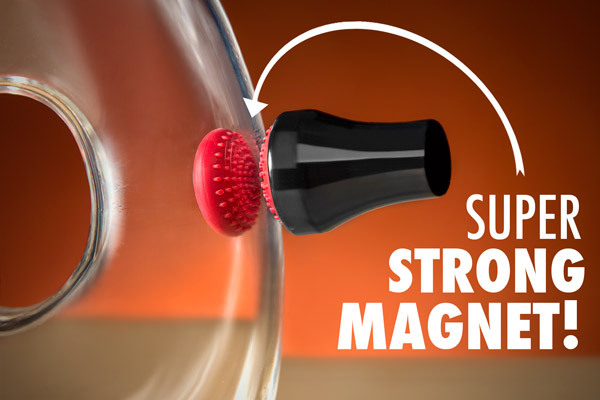 The Magnetic Spot Scrubber makes it easy to clean the hard-to-reach areas of your glassware that sponges and brushes can't. 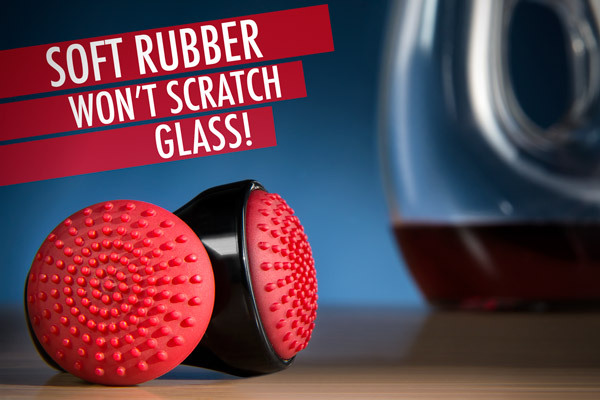 A textured silicone scrubber is coupled with a magnetic handle in order to clean through the glass. To use, just drop the scrubber into a bit of soapy water, gather it through the wall with the magnetic grip, and move it around. 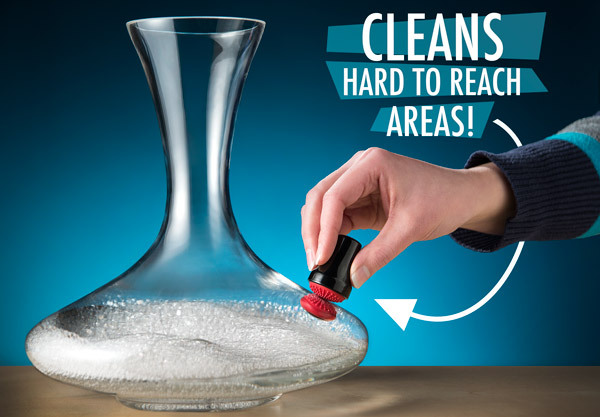 Compact and easy-to-store scrubber is made from soft rubber that won't scratch your glass. Oddly shaped glassware? Rub-a-dub done! 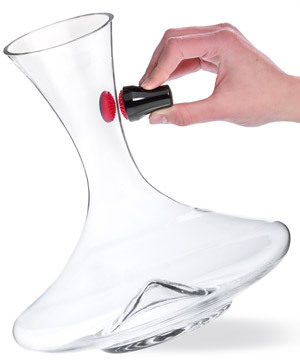 Cleaning the nooks, crannies, and crevices of your oddly shaped glassware (looking at you, Das Beer Boot) can be tricky, if not downright impossible.... unless you've got the Magnetic Spot Scrubber, of course! This clever kitchen gadget couples a magnetic handle with a textured silicone scrubber to clean those hard-to-reach places. Clean hard-to-reach places easily with the cleverly designed Magnetic Spot Scrubber. The scrubber is small (this is how it reaches those spots a brush or sponge cannot! ), but it still packs a powerful magnetic punch. Simply drop the scrubber into a vessel with warm soapy water, grab the scrubber through the wall with the magnetic handle, and move it around. The magnetic handle allows you to clean through the glass. The Magnetic Spot Scrubber is made from soft rubber that will not damage your glassware. The nubs on the surface of the scrubber help dislodge stubborn, caked-on grime without scratching your glorious beer boots. Remove debris without scratching your glassware.